Last year 9,200 new parents took Shared Parental Leave (“SPL”) – just 1% of those eligible to take it. Am I surprised by this finding? No. In fact, I do not know anyone that has taken SPL despite it being available for new parents since 2015. Earlier this month, the Trades Union Congress (“TUC”) called for an overhaul of SPL, recognising that the current scheme is not working. While some companies appear to be embracing SPL, such as the drinks giant Diageo (which has recently announced that 4,500 UK staff would be entitled to 52 weeks of parental leave with the first 26 weeks fully paid), other employers have been slow to embrace the scheme. Admittedly, SPL is generally not very well understood by employers which is unsurprising given the specific rules relating to eligibility and notice requirements. Remember, SPL is meant to be a benefit to employers as it allows companies to retain employees and attract talented individuals. SPL was created with a view to move towards greater gender equality and to reflect the changes observed in the modern workforce. SPL was introduced under the Children and Families Act 2014 as an optional leave scheme for new parents following the birth of their child. New parents can share up to 50 weeks of leave and up to 37 weeks of pay. Note, under the existing system, SPL can only be taken when the mother gives up part of her maternity leave. SPL is paid currently at the rate of £145.18 a week or 90% of your average weekly wage (whichever is lower). SPL can be taken in blocks to fit around a new parent’s working pattern or it can be taken in one go. Parents can also choose to be off work together. TUC suggests the low uptake of the scheme is largely due to the low weekly payment of the scheme which is simply unaffordable for most fathers. Neil Tonks, legislation manager at MHR, supports TUC’s suggestion, adding that the gender pay gap is partly responsible for the low uptake of SPL. To combat the low SPL uptake, TUC has called for an increase to statutory paternity pay and shared parental pay to reflect minimum wage levels as well as an increase in the current statutory paternity leave period (two weeks). TUC wants a reformed SPL to be available to all fathers regardless of whether they are self-employed, agency workers or on zero-hours contracts. So, we’ll wait to see how the government responds but I’m not optimistic that the scheme will change anytime soon given that Brexit appears to be the only issue on the government’s agenda for the time being! In the meantime, employers would be wise to stay on top of their gender pay gap reporting obligations and to get to grips with their SPL policy. For more information on the specific rules relating to SPL, please contact myself on laura.pointon@brabners.com or another a member of our Employment Team who will be happy to assist. Just 9,200 new parents took up shared leave in 2018 out of more than 900,000 who were eligible, the study found. Shared leave is not available for fathers in insecure jobs such as zero-hour contracts or agency work. The TUC, which carried out the research, said take-up is still so poor four years after the system was introduced because most fathers cannot afford to live off the £145 per week payment. 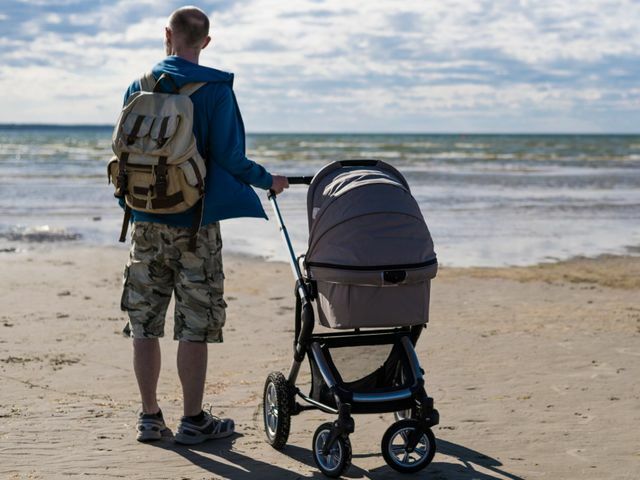 The union organisation is calling for paternity leave pay to be increased to at least minimum wage levels, a move it said could help half a million dads spend more time with their new babies.